Please call for pricing and availability. This boot comes in men's size 7-13, in medium and wide widths. Please call for pricing and availability. This boot comes in men's size 7-15, in medium and wide widths. Slip, oil, and abrasion resistant, anti-fatigue sole, waterproof, and electrical hazard protection. Please call for pricing and availability. This boot comes in men's size 7-14, in medium and extra wide widths. Please call for pricing and availability. This boot comes in men's size 8-14, in D and EE widths. Please call for pricing and availability. This boot comes in men's size 8-14, in medium and wide widths. Georgia Steel Toe Waterproof Logger Boot keeps your feet safe and dry while providing comfort and durability. Equipped with a steel toe, this boot meets ASTM standards for protective toe and electrical hazard. It features an abrasion-resistant rubber outsole, standard on all Georgia Loggers; and it's made with Goodyear welt construction for added quality and durability. Built with the Georgia Waterproof System, this logger stands up to rain and mud. Air gets in, but water can't. There's a 100 percent guarantee that your feet stay dry. This also is a comfortable boot with a covered cushion insole and a fully-lined and cushioned collar. Support comes from a steel shank and a removable polyurethane orthotic insert. Please call for pricing and availability. This boot comes in men's size 7-15, in D, EE and EEEE widths. Please call for pricing and availability. This boot comes in men's size 7-15, in B, D, EE and EEEE widths. Please call for pricing and availability. This boot comes in men's size 7-17, in medium and wide widths. Please call for pricing and availability. This boot comes in men's size 6-14, in medium and wide widths. The upper of these barracuda-gold colored wedge work boots is SPR™ leather. Due to the way the leather has been tanned, it has 3 times the strength and it's able to resist abrasions 2 ½ times better than traditional leathers. The Poly Wedge ULTRA outsole is highly flexible; it's made from a cushioning material and resists abrasions, chemicals and oils, which allows it to hold up nicely. A hard-wearing exterior, superior safety features, great construction and an excellent outsole... you definitely need to own a pair of these Georgia Steel Toe Wedge Work Boots. Please call for pricing and availability. This boot comes in men's size 7-15, in medium and extra wide widths. An ultimately comfortable boot built to give you unparalleled flexibility– both in how it moves and the ways you can use it. From casual days to cruising woodlots, this steel-toe waterproof work boot protects against hazards and keeps feet dry while following your every move. It generates steadfast comfort and energy from a ContourWelt™ and Wolverine MultiShox® platform with every easy-flex step. We guarantee you’ll feel the difference. 30-Day Comfort guaranteed! 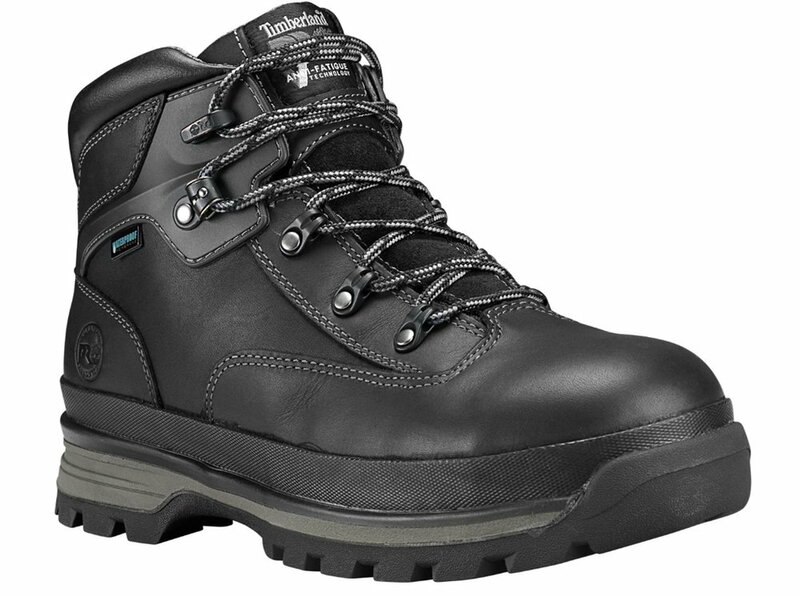 "The Blade work boot features EPX anti-fatigue technology that brings comfort closer to the foot. The EPX technology conserves and returns energy to fight fatigue and features a foot bed with a honeycomb heel to expand to absorb impact, a cushioning midsole, a lightweight stabilizer midsole, and a rubber lug outsole. All components work together to provide unrivaled support step after step. Please call for pricing and availability. This boot comes in men's size 8-16, in medium and wide widths. 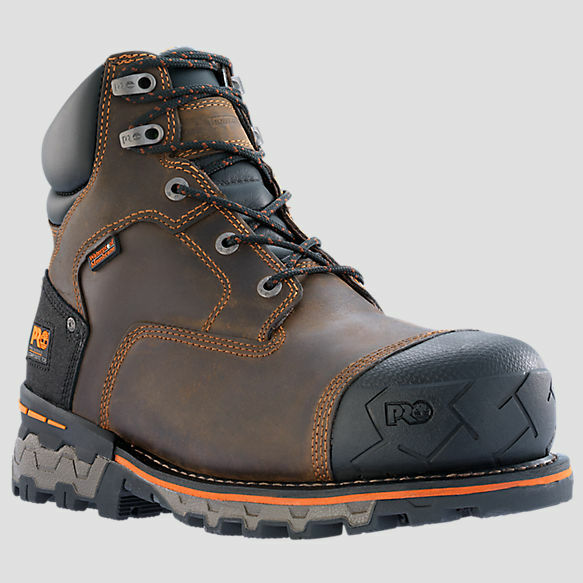 The wide toe box of these steel toe boots gives your toes wiggle room and is comfortable for work. 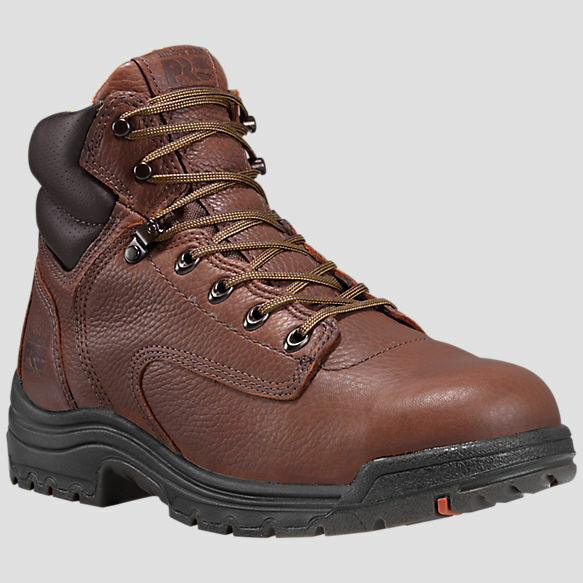 The lace-up design and leather upper also contribute to the great fit and feel of the men's boots. While the Rocky polyurethane footbed provides cushioning for your feet, the interior stays dry because of the Rocky Waterproof construction that guarantees these are waterproof boots. The boot sole is also oil- and slip-resistant, which helps you keep your balance on the jobsite. Please call for pricing and availability. This boot comes in men's size 6-17, in medium and wide widths.